SplashAnimation is a simple utility mod which allows an animation to be played at the very start of the game, which gracefully fades into the loading screen. 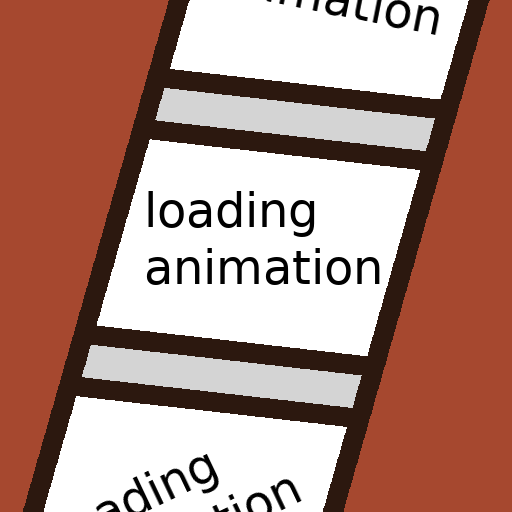 Adds an animation to the start of the loading process! A selection of configuration options to customize it for your modpack. Following the tutorial is recommended! Put your animation frames in animation/000.png, animation/001.png, ... up to the amount of frames you want to have. Edit config/splashanimation.cfg to set more detailed configuration pertaining to the animation behaviour. Does this awesome mod brings some lags please ? I love your mod idea asiekierka. So any news on why it's acting all funny? The reason why most people probably aren't using your mod to it's fullest effectiveness is because you can't use a slash in either a PNG. or GIF. files. I tried both, nope, it can't be done and according to your tutorial, a slash is required in order to create your desired file. On Windows, you need to use the other slash. Either way, I'm referring to the directory separator. Nope! I tried all of the slashes, nothing works. I checked on my entire keyboard, apparently all slashes are forbidden. And the directory separator would be the .minecraft folder yes? I'm not saying what they're doing is smart, because it isn't, it's actually really stupid how they did that slash business. I'm guessing you don't use windows? The slash represents a directory. You can't have a slash in a directory name, it means "the next directory", essentially. Then what am I supposed to name each file I choose to put in there? If the directory is animation. yeah I tried that and it STILL doesn't work, i'm using screenshots from my game to post there by the way and yes, they're all .PNG files. I'm doing everything that is asked then so I fail to see the problem here! Could you share some screenshots of your setup, directories, file tree, etc.? You don't suppose having the Just the tips mod active might have anything to do with this, would it? Shouldn't. Having an outdated version of Forge theoretically could, but I doubt that's the issue here. Well. I can tell you they seem to be laid out fine. I'll have a closer look soon. umm okie dokie then thanks!